This year’s Super Bowl came and went on February 2, 2019, with the Patriots winning their fifth title in the Bill Belichick-Tom Brady era. The Los Angeles Rams put up a valiant fight, but ultimately lost in what became the lowest scoring Super Bowl ever, with a score of 13-3. While the game progressed at a turtle’s pace, advertisements played a critical role in keeping viewers engaged and entertained. The Super Bowl is the mecca of fantastic ads, with companies competing to have the most memorable commercials of the year. 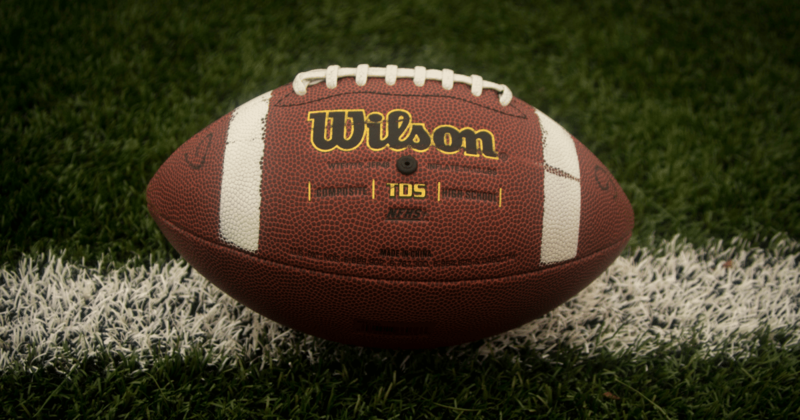 We’ve rounded up various Super Bowl commercials to look at some common themes and trends. Playing a leading role in many of this year’s commercials were robots. Sprint, Intuit’s TurboTax, Michelob ULTRA, and Simplisafe all featured artificially intelligent stars. So what can we attribute this robot invasion to? It seems as if we hear every day about how artificial intelligence will disrupt our way of life entirely, and in some cases, replace us altogether. Perhaps these commercials are programming us to be ready for this. Intuit’s TurboTax advertisement spotlighted a RoboChild with the desire to become a TurboTax Live CPA. After being rejected by an employee stating that all Live CPAs are empathetic humans, the RoboChild expresses its sadness. However, instead of crying, it starts breaking out into laughter, reinforcing the statement that robots don’t have the emotions necessary to replace humans… not yet, at least. So, maybe we’re safe for now. Nonetheless, this was the first time where humans were replaced by bots at such a large scale in these commercials. Whatever message this is trying to send, one is clear: if you aren’t a company innovating with AI today, you will undoubtedly be left behind. Of course, not just any company can purchase an ad for the Super Bowl. This year, a 30-second commercial spot went for $5.1 to $5.3 million, which is consistent with last year’s advertisement rates. In eight years, this is the first time that Super Bowl ad rates didn’t grow by at least $200,000 year-over-year. Why? Because viewership is declining as the NFL stays embroiled in a number of controversies, including their handling of several publicized domestic violence issues as well as the ostracization of Colin Kaepernick. 98.2 million people tuned into the game on CBS — the smallest audience to watch the Super Bowl since 2008. While viewership is declining, this year’s Super Bowl drew in a new streaming record of an average minute audience of 2.6 million viewers. One significant reason could be that the mission-driven generations that have become so loud and influential today, such as Gen Z and Millennials, are making enough of an impact to actually put a dent in the pockets of some of today’s biggest companies. What does this mean for brands? Mission over message. With companies competing for the most memorable ad every year, advertisers are having to pull out all stops to when it comes to creativity. This can be risky because some of the most memorable ads are the most controversial, such as Nationwide’s “Dead Boy” commercial in Super Bowl XLIX. More than ever, companies are defying the status quo and going out of the box to create ads that’ll be talked about for years to come. This year, we have to credit Skittles as the most creative. What makes this specific promotion so special? The fact that they veered from the typical ad promoting their company. Instead, they promoted a Broadway musical, titled “Skittles Commercial: The Broadway Musical,” that only ran one day. This half-hour show starring Michael C. Hall is by far the most unique and creative ad in this year’s roster. While everyone enjoys the humorous Super Bowl ads, they are only effective when they show how the product or service fits into people’s lives and solves a problem. In a world where we’re overwhelmed with products, consumers are demanding personalized experiences and that companies that are more relatable. T-Mobile did a great job with this with its series of four ads, one taking place in each quarter of the game. Although they received some backlash for being perceived as sexist, 73.3% of the conversation during the ads were positive. During these ads, T-Mobile displayed hilarious text message exchanges, some revealing promotions for its customers, including a free Lyft ride and free tacos from Taco Bell. Another ad poked fun at people who are notorious for sending long text messages and another for technology incompetent parents. Demonstrating the conversations and thought processes via text messages is what really made the ads successful. People can relate to thinking through various responses to text messages, and millennials have parents that stereotypically don’t know how to utilize smartphones. Also offering free things people use regularly certainly doesn’t hurt. Some of today’s most recognizable startups were noticeably absent from the commercials this year. Out of all the Super Bowl ads, Doordash, Bumble, Expensify, and Lyft were the only startups to make advertising appearances. And, of those, Doordash and Lyft partnered with other large companies (Burger King and T-Mobile respectively), which allow them to piggyback off of another brand to absorb the cost leveraging the spotlight. Bigger startups that have previously advertised during the Super Bowl, like Airbnb, chose not to advertise during the game this year. Perhaps the reason for this is because startups are finding more value spending their marketing and ad dollars elsewhere. $5.2 million can allow companies to utilize a lot of other marketing services that could better reach their target audiences. In 2018, it was expected that online advertisers would outspend TV advertisers by $40 billion. In fact, 2017 was the first year more money was spent on internet ads than TV, taking over as the biggest medium. More specifically, social and video display ads were drivers for internet advertising growth. Social media ad spending is expected to rise 21% to $58 billion, and ad spending to increase by 19% to $32 billion. The creativity in Super Bowl ads is not going away any time soon. These ads are purchased and created to build brand awareness and increase brand loyalty. With 90% of consumers loyal to a brand, ads probably won’t convert someone to switch; however, they’ll help increase brand awareness and likeability.